Parables: Christ taught in parables that only the sincere would understand. There are also parables in the Doctrine and Covenants and the Book of Mormon. Patriarch: A priesthood holder who gives special patriarchal blessings to members of the Church. The term is also used to refer to fathers as the spiritual head of the home and to Old Testament prophets. Patriarchal Blessings: Given to teenagers or adults to declare their lineage from Abraham. Lineage may be through birth or adoption. The blessing may also include guidance or promises from God concerning their mortal and eternal lives, predicated on their own obedience. Mormons study these carefully to learn who God knows them to be and what He wants them to do with their lives. Only one patriarchal blessing is given to each member. Pearl of Great Price: A book of LDS scripture which includes 1) The Book of Moses, received by revelation through Joseph Smith while he was working on a translation of the Bible; 2) The Book of Abraham, translated partially from papyri and partially from revelation; 3) A History of Joseph Smith; 4) An extract of Joseph Smith’s translation of the Bible; 5) The Thirteen Articles of Faith composed by Joseph Smith. Perfection: Purity and wholeness. James recorded in the Bible that the Lord wants us to be perfect, but this cannot be accomplished without the grace of Christ and could take eons of time after our death. Progression and learning continue after death. However, it is possible to be perfect in certain things. One may perfectly live the law of chastity or the law of tithing. Persecution: Has always followed the Latter-day Saints, who have historically been driven and persecuted. Mobs repeatedly invaded their towns and villages in New York, Kirtland, Ohio, Missouri, and Nauvoo, Illinois. Prophet Joseph Smith was martyred in Illinois. In Winter Quarters, Nebraska, about 600 perished of exposure and disease without receiving any aid. In Utah Territory, all their rights were stripped, and many were imprisoned. After a period of relative peace and growth, modern prophets warn that persecution will again increase. Personal Progress Award: An award earned by teenage girls. They set and complete goals in a number of areas, called values, working independently and with others. The program helps the girls develop both spiritual and practical skills that help them navigate the teen years and prepare for adulthood. Personal Revelation: Advice and confirmation of truth given to an individual for his own use and for his or her stewardship, through the Holy Ghost. 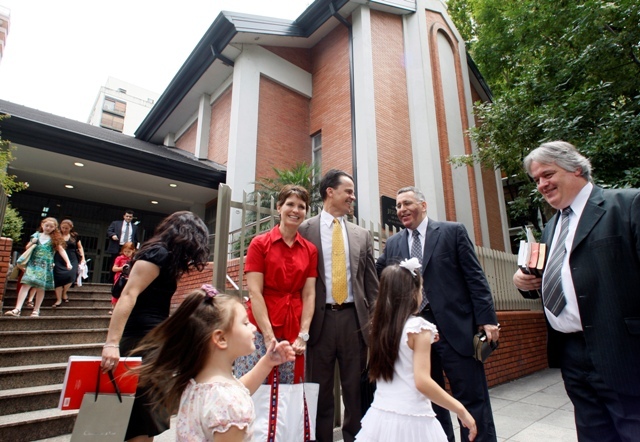 Individuals may receive personal revelation only for use in their personal lives, their families, and in their church work. A person will not receive revelation for something outside their authority. For instance, a Sunday School teacher can receive guidance about how to teach her lesson, but will not receive revelation on how Sunday School should operate world-wide. Peter Priesthood: A cultural term humorously applied to men who are very valiant and who fulfill their family and church duties well. Pioneer Day: Celebrated in Utah as a state holiday on July 24th each year, it commemorates the arrival of the Mormon Pioneers into the Salt Lake valley in Utah. The pioneers sometimes walked, pulling handcarts, to escape religious persecution. Plan of Happiness: Also known as the Plan of Salvation. The plan established by God the Father to progressively make us like Him; it allows us to come to earth, gain bodies and families, make use of our agency, and decide whether or not to accept the gospel of Jesus Christ. Through the atonement of Jesus Christ, we can be forgiven our sins and return to God to live for eternity, if we accept the Savior and keep the commandments of God. Plan of Salvation: See Plan of Happiness above. Plural Marriage: Polygamy; also called “the principle” by the early Latter-day Saints. Polygamy was condoned by the Lord anciently when wives were given “by him,” in marriages performed by His emissaries. 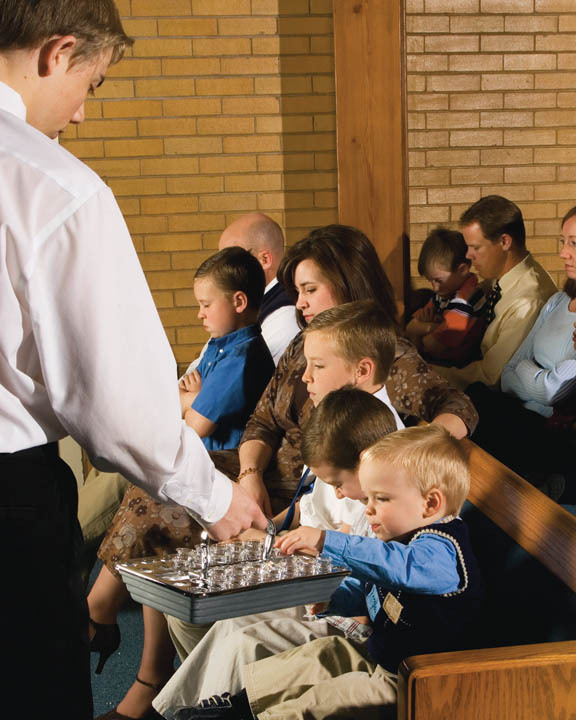 It was the standard family structure in 80% of the world when the Lord commanded the Latter-day Saints to practice it as part of the “restoration of all things” and to “raise up seed unto Himself.” It was a terrible trial for all the Latter-day Saints to live, even for Joseph Smith and Brigham Young, and increased the persecution suffered by the Saints. After 50 years, in 1890, the Lord rescinded the commandment through revelation to then Prophet Wilford Woodruff. In 1904 Prophet Joseph F. Smith added the punishment of excommunication. 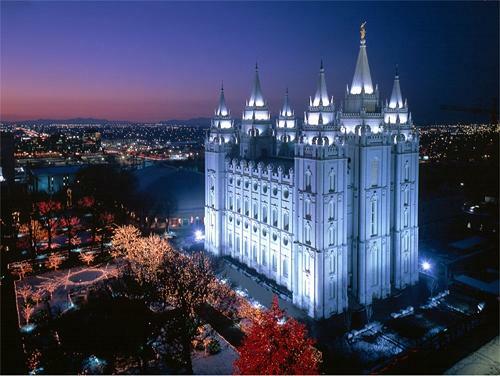 People who now practice polygamy are not members of The Church of Jesus Christ of Latter-day Saints (Mormon Church), although they might claim to be. Prayer: God hears and answers personal prayer and has counseled us to pray always. The first prayer of an investigator of the gospel consists often of asking if anyone is “up there.” The answer can come in profound, life-changing ways. There is power in prayer, and Latter-day Saints often arrange family prayers to pray for the sick and afflicted. Prayers are also offered for them in the temples of the Church. Mormons pray to God the Father in the name of Jesus Christ. Pre-earth Life: Prior to our births, we were created as spirits and lived with God in a pre-mortal existence. Although we didn’t have bodies, we were essentially ourselves and used that time to be taught by God, develop our talents, and decide how righteous we wanted to be. We learned we must then come to earth to continue our learning and our growth. Prelude: Music played most often on an organ or piano prior to the start of a meeting to help those in attendance feel reverent. Preside: To preside over a meeting is to oversee it and take charge. In the main worship service, Sacrament Meeting, the bishop normally presides, even if another person is conducting the meeting. President of the Church: The president of the Church is also the prophet, seer, and revelator. He is the only person authorized to receive revelation for the entire church. He is the presiding authority. Priestcraft: Preaching to get gain. The Church has many ways to prevent priestcraft. First, the Church has a lay (unpaid) clergy with all but the highest offices being temporary assignments. Second, people attend church according to location and not by their preference for someone who gives great sermons. Third, missionaries are transferred often from one location to another within their assigned mission, so that investigators and new converts don’t grow too attached to them. Fourth, everything is done in order in the Church (according to assigned stewardship) so that people can’t aspire to positions or gather a separate following. Priesthood: The power and authority to act in God’s name. Encompassing the Aaronic Priesthood (Deacons, Teachers, Priests, and Bishops) and the Melchizedek Priesthood (Elders, Seventies, High Priests, Patriarchs [or evangelists], and Apostles). The Church has no professional clergy. All worthy boys and men over 12 may obtain offices in the Aaronic Priesthood, and all worthy men over 18 may be ordained to offices in the Melchizedek Priesthood. The priesthood authority on earth was restored to Joseph Smith and Oliver Cowdery under the hands of resurrected beings ─ the Aaronic from John the Baptist; and the Melchizedek from Peter, James, and John. Priesthood Blessing: A special blessing given by someone who holds the Melchizedek priesthood, to provide healing, safety, or comfort. This is done by placing the priesthood holder’s hands on a person’s head. Priesthood Quorums: Priesthood bearers in various wards of the Church are divided into organizational groups called quorums. Primary: An auxiliary providing religious education for children ages eighteen months to twelve years of age. In addition to Sunday instruction, it also oversees Cub Scouting for boys and Activity Days for girls. Prophecy: The inspired utterances of prophets pertaining to the past, present, or future. Prophecy reveals unknown truth or added witness to truth. Most dramatically, they predict the future. The prophets of The Church of Jesus Christ of Latter-day Saints have prophesied of many future events, many of which have already come to pass. Prophet: The president of the Church is also a prophet, as are the apostles. He is called to speak for God in the same manner as Old Testament prophets, such as Moses or Abraham. Provident Living: Refers to Mormon teachings to be prepared for emergencies. Mormons store a revolving year’s supply of food and commodities, avoid debt, and gain education and training for a career. Quad: In Mormon culture, refers to all Mormon scriptures in a single volume. The quad consists of the Bible, the Book of Mormon, the Doctrine and Covenants (a collection of modern revelation) and the Pearl of Great Price. Quorum: A group of men, all holding the same priesthood office. Quorums meet together for instruction and to assign and report on duties. Quorum of the Twelve Apostles: Twelve men with a special calling to proclaim the divinity and mission of the Savior. They assist in the work of governing the world-wide church. When the prophet dies, the apostles become the ruling body of the Church until the new prophet is ordained. In the history of the modern church, the new prophet has always been the senior member of the Quorum of the Twelve Apostles.